This post may contain Amazon and other affiliate links and I earn money from qualifying purchases. For further information see our Disclosure Policy. Bounce Rate is defined as the percent of visitors that leave your site after visiting one single page. 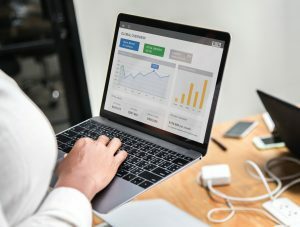 Google Analytics (GA) – A tool used by Google to analyze the traffic to your website. GIF – An invisible file that is sent to GA when someone enters your website either on a page or post. Session – Every time a visitor visits your site and a GIF is sent to GA.
Entrances – The number of times visitors enter your site in a given period of time. Landing Pages – Where the visitor begins their visit. Homepage – Main page of your site and is where visitors enter if they click your URL. How is the bounce rate calculated with GA? When a visitor enters your site a GIF is sent to GA from their landing page. If the visitor leaves your site from the same landing page and doesn’t leave that landing page it is considered a bounce. Only one GIF from your website is sent to GA. If you have 1,200 entrances to your website and you have 962 bounces your bounce rate would be: 962/1200 = 80.16 or a bounce rate of 80.16%. Meaning 80.16% of visitors left the landing page without going anywhere else on your site. Bounce Rate is determined on each post, page, and the site as a whole. Important Note – BOUNCE RATE IS NOT DETERMINED BY AMOUNT OF TIME SPENT ON YOUR SITE!!! 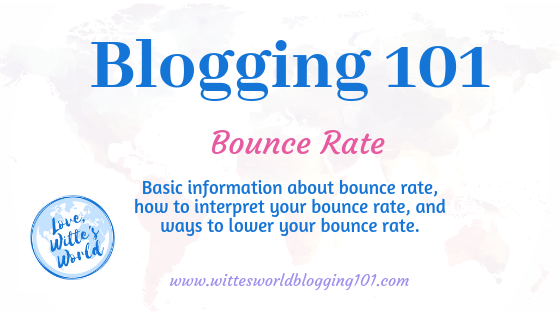 What does bounce rate mean for your Blog? If your website is primarily a blog, it is normal to have a slightly higher bounce rate. This is because visitors may come just to read one post and then leave. In order to determine if that is the case, the bounce rate for each post will be high, but the bounce rate for your homepage will be low. Meaning, they come to the post (landing page), read it and leave, this is a bounce. However, when they are entering through your homepage they click through to a post or video and you have now sent 2 GIF’s to GA and it is not counted as a bounce, thus your bounce rate on your homepage will be lower. If this is the case, a high bounce rate is NOT bad for your site. Bounce rates are generally higher when coming from a social media site than an organic search. What can I do to help lower my bounce rate? Make sure your site is relevant. If your niche is travel, make sure your site posts about travel. The more content on travel, the more chances the visitor will read several articles. Make your homepage a satisfying place to land. Think of your branding, images, widgets, ads. Don’t look cluttered. Make your posts summaries on your homepage. Landing on your homepage (1 GIF) clicking continue to read (1 GIF) and not counted as a bounce. Make sure your font is pleasant to read. If it is bold, too large, too small, it will send a reader from your site. Make sure your website load time is fast. People don’t have time to waste on waiting for your site to load. Have auto-play videos. Each time the video auto-plays it will send a GIF to GA. If they land on your post (1 GIF) and the video plays (1 GIF) it counts as two GIF’s and is not a bounce. Have links to previous posts. Each time they click a link to a post on your site, it is another GIF. 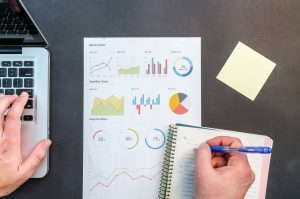 Bounce rates are important to keep track of and can help you build an appealing website for your readers. 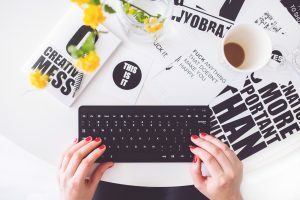 Find the connection with the posts/pages that have a low bounce rate and try to bring those qualities to all your post. By using the qualities in your posts to lure in new readers your website will grow in views and subscribers. On a side note – If your bounce rate is too low you might have an issue with your tracking code. In addition, if you can change your tracking to time instead of GIF, but this requires coding. 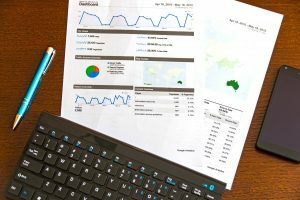 What is your bounce rate? What is your plan to get visitors to click on more than the landing page? I found this at just the right time. I was wondering about bounce rate today. Why would mine be SO low??? Google analytics is showing 5%. Am I doing something wrong? Actually, the lower the better. It just means that people are visiting more than one page. I noticed when I visited your site, you make it very easy for people to flow from one post to another. I need to get better with this! Thanks for the clarification. I can’t believe I haven’t read this before. I have some new ideas now. You are welcome! I will be starting a class in May…hope you join! Hi! It really depends on your site. If you have a blog, many people will jump on a post, read it and leave and this is perfectly acceptable. In general, a bounce rate in the range of 25 to 40 percent is excellent. 41 to 55 percent is about average. 56 to 70 percent is considered higher than the average. Anything over 70 is really high. However, it depends on your site, a blog will always have a higher bounce rate…I guess if you are between 25 to 70 you are doing a great job, but don’t be alarmed if you are over 70 with a blog. Thanks Lana! I will add you to my post! You are the best!!! This is just what I needed to read. Join our mailing list today receive our brand new, "Blog Post Checklist". This checklist includes everything from social media to SEO! You won't want to miss getting it for free today, it will go on sale in February! You have successfully subscribed! Check your e-mail for your free Blog Post Checklist! Don't miss out on the free Blog Post Checklist from Blogging 101 with Witte's World subscribe now!